Be-leaf it or not - your car's at risk from falling foliage! Leaves on the line may be frustrating for train travelers but they can cost drivers thousands of pounds. 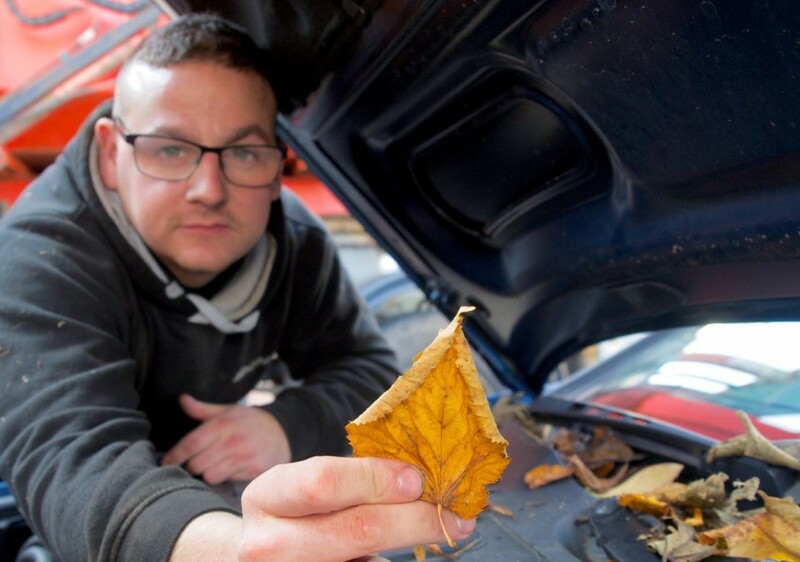 Every autumn garages across the country are inundated with calls from drivers experiencing electrical faults, water leaks and break-downs, on many occasions the ingress is caused by leaves collecting on, and in, their cars. 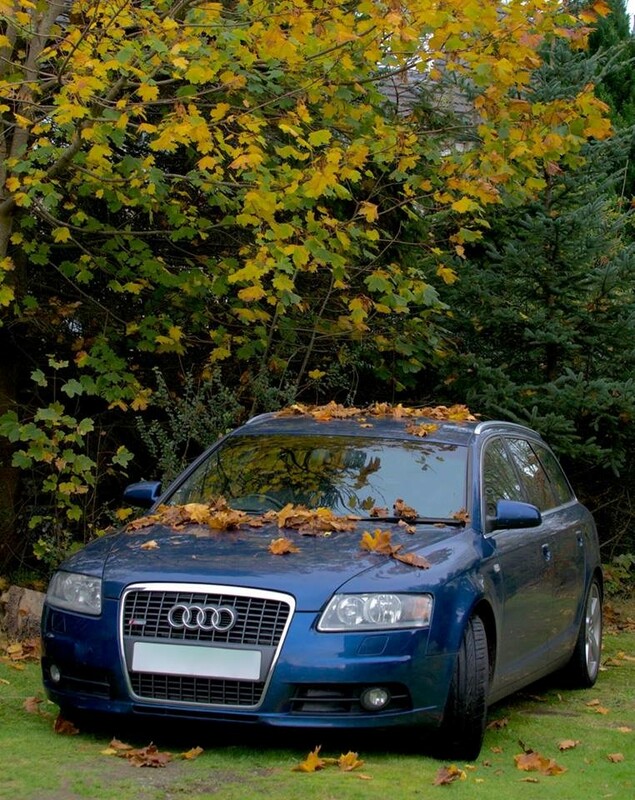 This time of year, when the trees are shedding foliage, can be very expensive for motorists, said Andy Dunn, Managing Director of Glasgow-based A4Audi Express. Leaves can cause hundreds, if not thousands of pounds, worth of damage to a car as they collect in the recesses below the windscreen, block the drain holes and allow rainwater to over spill into the vehicle. Cars are full of electronic computer technology, much of the wiring and components are located under the floor and under the carpets. If water gets in it can cause huge problems. On many occasions drivers don't realise anything is wrong until it's too late. Autumn has just begun and already we're getting phone calls left, right and centre from people complaining that their central locking has stopped working or there is a fault with the on-board computer system, said Andy. A lot of problems can be easily avoided with a quick and simple clear out of leaves from all the danger areas. But if left alone the repair costs can be extensive, especially if components need replacing and computers have to be reset. A4Audi Express is the UK's first city centre same day car maintenance service and was launched to make life easier for busy commuters to get their cars serviced while at work. Based at the Q Park in Waterloo Street, Glasgow a purpose built reception area al-lows customers to drop off their vehicle and carry on with their usual routine while highly experienced technicians make sure their car is safe and reliable for the winter months ahead. If a problem arises and the vehicle requires further authorised work that may not be completed on the day we'll provide the customer with a courtesy car so they are not inconvenienced in any way, said Andy. The whole idea is to make life as easy as possible for customers. It doesn't matter if they are driving an Audi, Volkswagen, BMW, Mini or Porsche we can provide a more convenient service at up 30 per cent less than the cost of a main dealership and at the same time protect your manufacturers warranty. And, it's just not problems with the electrics that leaves cause. If left to build up they can damage paint, encourage rust, obstruct air vents and clog drains. Leaves contain methyl-ethyl which, when combined with water and sunlight, can leave an imprint on paint surfaces. Even a small number of leaves can create a serious rust hazard if they get wedged under mouldings and collect moisture. They can also get sucked into the heating system causing blockages at the pollen filter causing poor demisting performance often affecting driver's visibility. Another common fault is leaves blocking sunroof drains resulting in water ingress into the cabin area. If you don't want raindrops falling on your head - inside your car, or blowing both your electrics and your budget, call A4Audi Express on 0141 465 3399 or A For Audi on 0141 952 4499.